The slick shade is making a comeback. Here are six products and finishes from the likes of Miele, Jenn-Air and Bulthaup that are up on the trend. 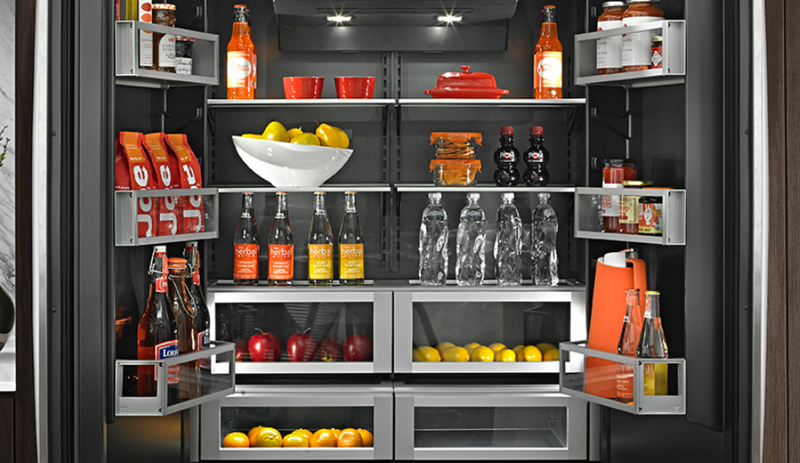 Dark glass defines this sleek collection of built-in appliances that feature touch screens and high-resolution displays. The patented M-Touch allows users to swipe the screen like a tablet to make program selections, facilitating the cooking process. Generation 6000 can also be integrated with Miele’s Brilliant White series (pictured) for a striking contrast. 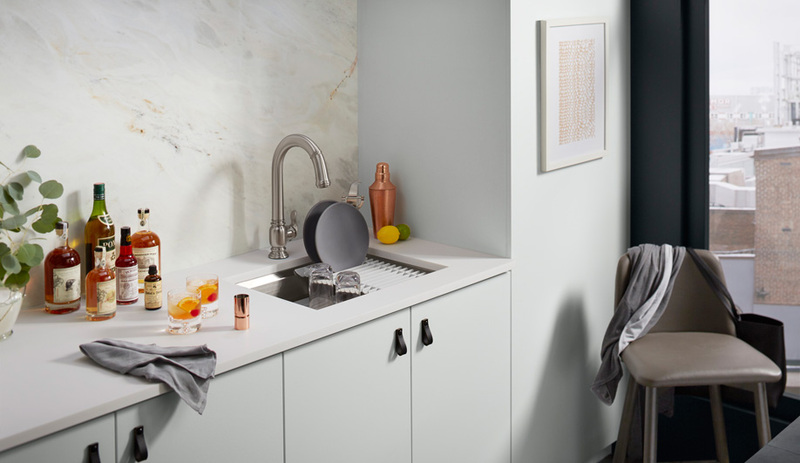 Created by one of GE’s 27-year old designers, Artistry is a sophisticated (and affordable) line of appliances that features cool metallic handles and knobs with sleek chrome trim. Six pieces form the collection: a gas range, an electric range, a bottom-freezer refrigerator, an over-the-range microwave, a range hood and a top-control dishwasher. Artistry also comes in white. This luxurious finish from Jenn-Air is designed to make food colours pop. 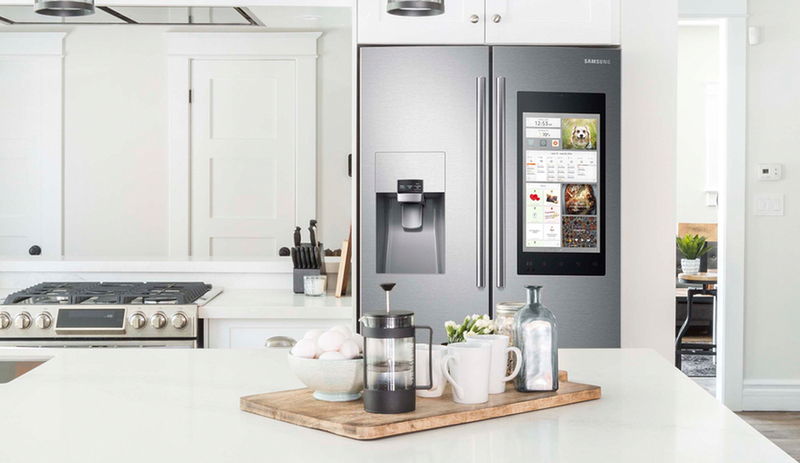 The dramatic deep charcoal interior replacing traditional white found in most refrigerators will be available in three new models this fall: a 36-inch built-in two-door, plus 36-inch and 42-inch fully-integrated French door refrigerator/freezers. 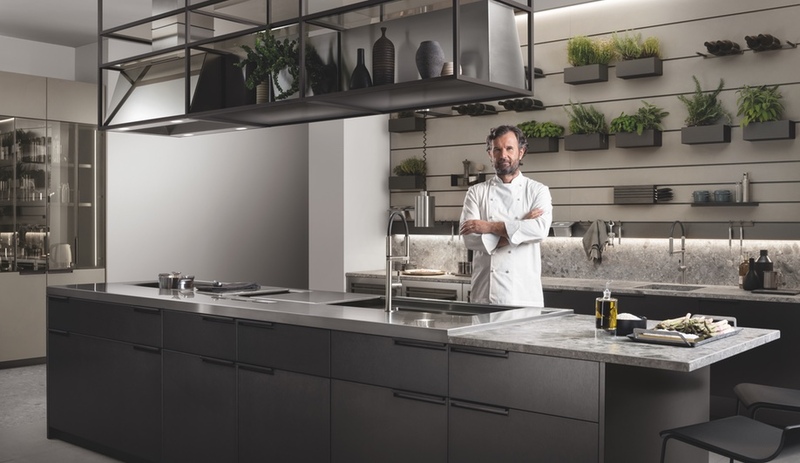 Bulthaup invited Mike Meiré to update its B3 kitchens for an exhibit at Milan’s Salone furniture fair. 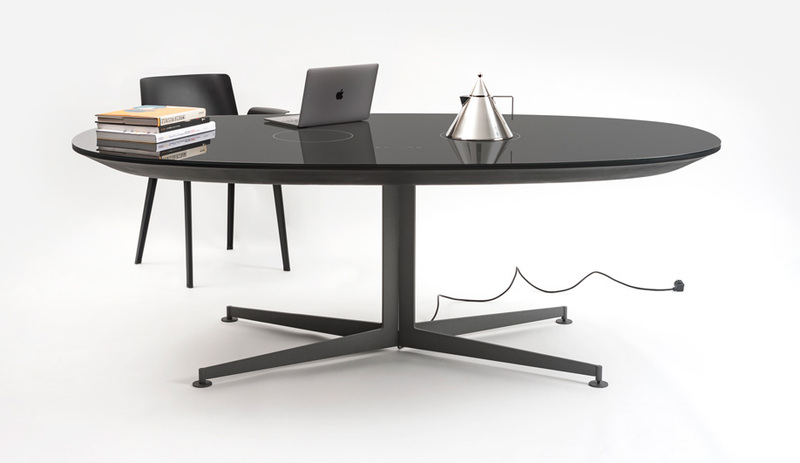 The art director, based in Cologne, Germany, coated the previously white display cabinets in black lacquer while covering others in fine leather to integrate the kitchen into other living spaces in the home. 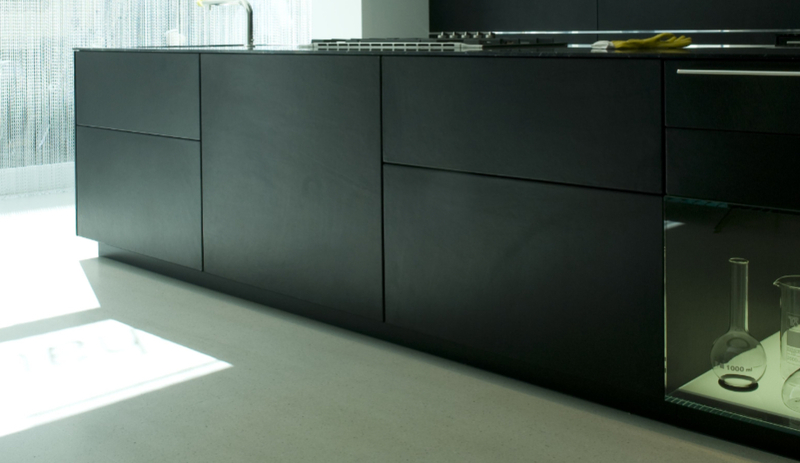 This bold line of onyx black appliances lend a distinctive look to any kitchen counter. 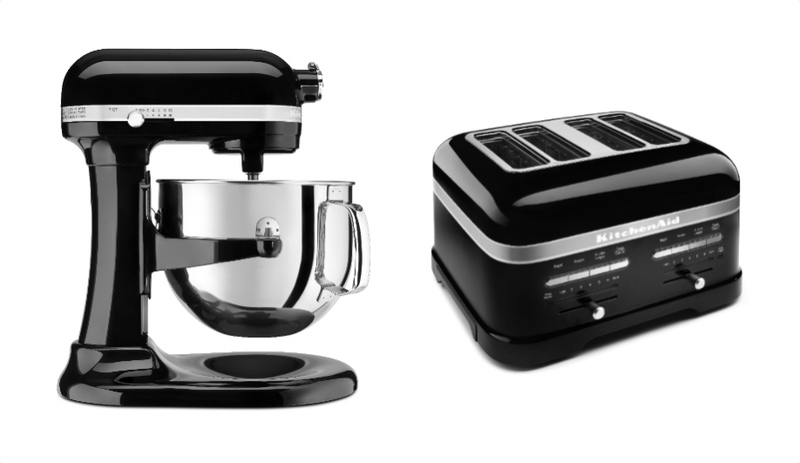 Pro Line comprises a bowl-lift stand mixer, a food processor, a cordless hand blender, a electric kettle and two toasters. The collection also comes in medallion silver, frosted pearl and candy apple red. 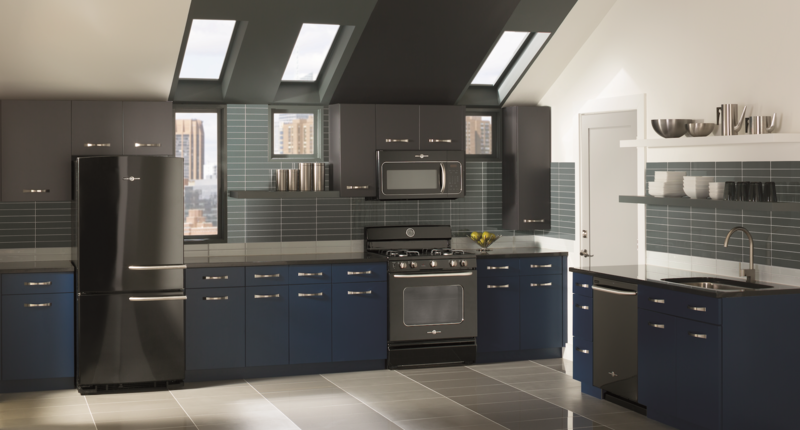 Whirlpool’s luxurious Black Ice, in freestanding or built-in, comprises refrigerators, wall ovens, ranges, microwaves, cooktops and dishwashers. It has such innovative high-tech features as panoramic LED lighting to make finding food easier in the fridge and a patented TimeSavor which increases oven preheating time by 25 per cent.